Analyst papers don't get any better than this! 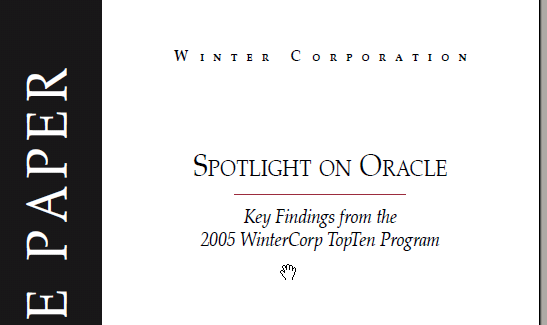 Winter Corp has published a white paper titled "Spotlight on Oracle - Key Findings from the 2005 WinterCorp Top Ten Program", which measured the world's largest databases. 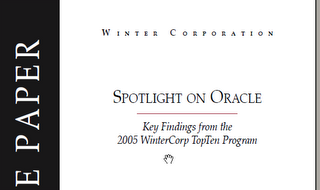 The report can be downloaded from Oracle.com here. Got hold of shiphomes being used by QA for testing and installed them on my machine. 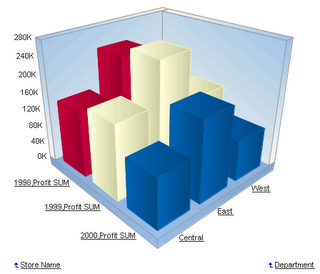 One is the Oracle BI Standard Edition, which includes Discoverer, Discoverer OLAP, the Spreadsheet Add-In, and more, while the Enterprise Edition includes the Siebel based Analytic Server components like Answers, Dashboard, Delivers, and more. This release also has many, many enhancements that had been in the works from last year. Next month and as we get sooner to the release, I shall start posting on the install and OOTB experience. If there are specific things that people would like to see screenshots of or have me write about do let me know. Also, there is a lot of collateral, demos, white papers that are being prepared, so expect a lot of information to flow your way closer to the release date. 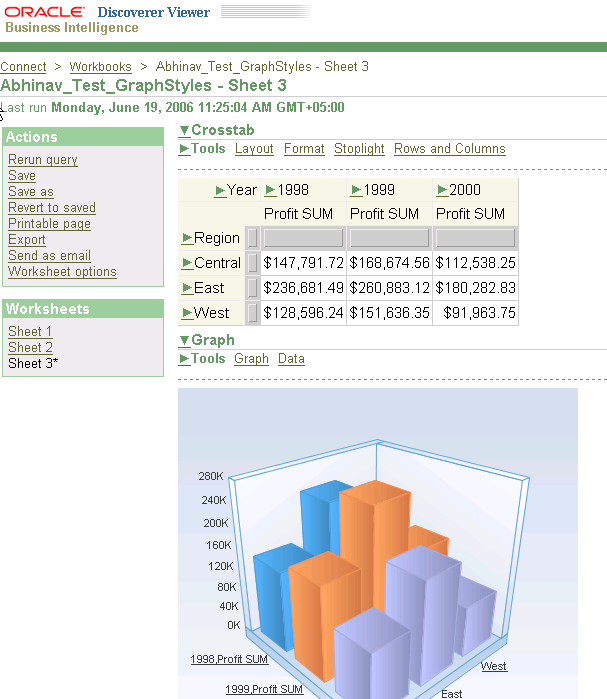 I now have Oracle BI 10g (10.1.2) - infrastructure and middle-tier, the latest shiphomes of BI SE and EE (10.1.3), XML Publisher, an Oracle 10.2 database, a non-Oracle database, and more on the same machine, which also happens to be my work machine. Add to it more than a gig of emails, doc for the app server, tools, and the database, work related docs, Dilbert cartoons (a healthy dose of cyncism is a sine-qua-non), and of course Google Desktop Search (which itself uses up close to 2GB of hard disk space), and I had to uninstall Oracle Database XE because I was starting to run out of disk space - I like to keep at least 6-8GB free. Having 2GB of memory certainly helps though! 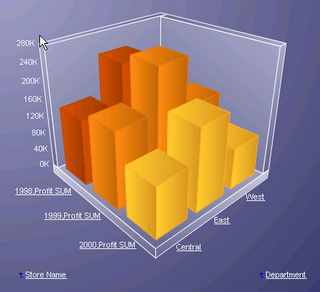 See http://www.oracle.com/technology/products/bi/ for more information. Starting today (yes, this precise instant in time) I shall start posting on the new Oracle BI Enterprise Edition (link on OTN) product features, and here is the first post, albeit a short one. 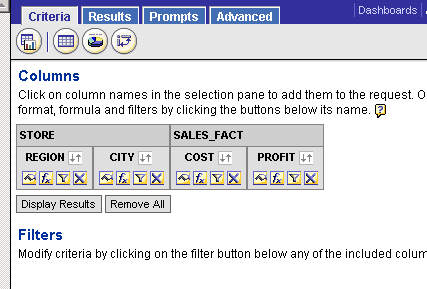 In 'Answers' (see link for an explanation for what 'Answers' is: actually, it is Oracle Business Intelligence Answers, and is the ad hoc query and analysis component of the Oracle BI EE suite), when you create a request (that would be a report / query / worksheet in Discoverer parlance, though not quite: a query is what is used to fetch data into a worksheet where it is formatted and displayed), data is automatically sorted by the first column, then the second column, and so on. 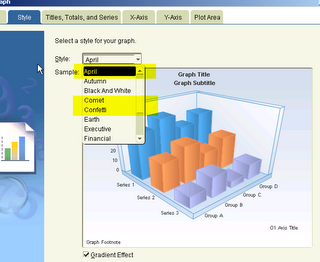 Furthermore, a group sort is also applied so that i the example below the region does not appear multiple times. 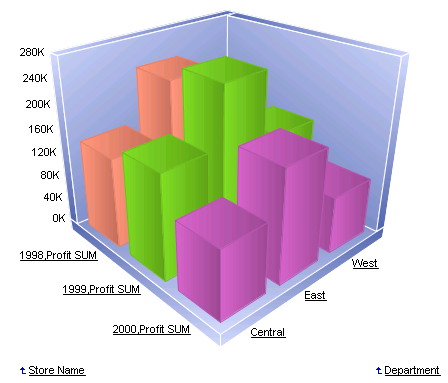 This report has been created from a Subject Area (think of a subject area as a Business Area in Discoverer) that is built on the familiar Video Stores dataset. As you can see here, Region is group sorted ascending, and within each region the cities appear sorted ascending. If you click the 'Advanced' tab, you can see the SQL that is issued to the analytic server, and also the XML representation of the report (request) you are working with. In the coming weeks and months I will also include posts on the new features in both the Standard Edition as well as the Enterprise Editions of the Orace BI Suite. This summer (around August), there will be a new Discoverer release that will contain a few new features. 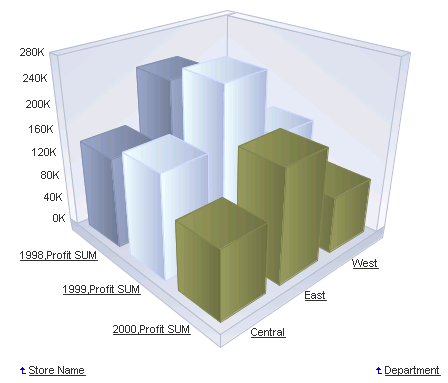 The biggest news is in the OLAP area, where support for custom (or calculated) members will be available, with support in Discoverer OLAP (D4O) as well as the Spreadsheet Add-In (link to Oracle Business Intelligence Suite Standard Edition page on OTN). Also, there are six new graph styles that have been added to the list of available graph styles that were introduced in the 10.1.2 release (see section 1.2.3 of the the "Discoverer Statement of Direction" for some screenshots) - April, Comet, Confetti, Glass, Nautical, Southwest. See below screenshots of a 3D graph with each of these styles applied. The graph wizard in Discoverer looks pretty much the same, except when you go to the "Style" tab, you will find the new graph styles added (I have highlighted only three below). And of course the styles applied are available in Viewer and Portlets. Styles are one of the easiest ways of jazzing up reports and of allowing users to focus more on which graph type works best for displaying different kinds of data and less on how to pretty up the graph. 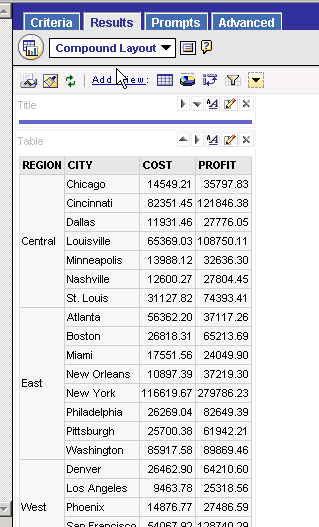 More on this and other new features in the upcoming Discoverer release soon... Watch out for a mini-series on the new improved Spreadsheet Add-In, which has a host of new and improved features, including better VBA support, named queries in Excel, non-modal query wizard, and lots and lots more. 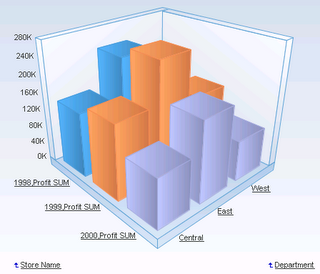 Two new Oracle By Example (OBE) (link to page on OTN) tutorials on the recently released Oracle Warehouse Builder 10gR2 (10.2) have been made available on the Oracle Technology Network (OTN) by our Server Technology curriculum group. Both are estimated to take a little over six hours to run through, so they are comprehensive for someone who wants to take a look at a high level at all that this new release has to offer. And since these are OBEs, you could download the product and run through the examples alongwith the product, or simply go through the screenshots - the results should be the same in both cases. Of course if you run through the OBE screenshots only the exercise should take less time. In this Oracle By Example course, you get a step by step guide to migrating an existing system implemented using OWB 10gR1(10.1.0.4) to a new OWB 10gR2 environment. The objective of this migration process is not to scrap off your old system and re-build a new system using the latest OWB release. Rather, the objective is to smoothly move your existing system from OWB 10gR1 to OWB 10gR2 in order to give you the benefits of new capabilities as well as save on your investments and your time. 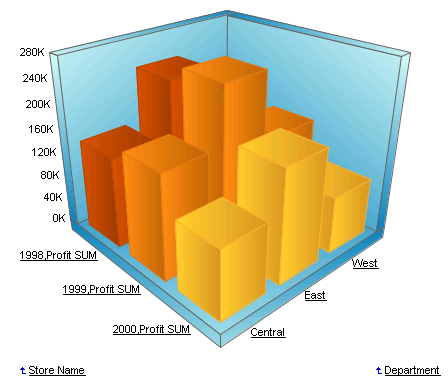 To check the sales rank of Oracle books on Amazon (that would be the e-commerce site that sells books, not the river), you can use this link, or follow this breadcrumb from Amazon.com - Books > Subjects > Computers & Internet > Databases > Specific Databases > Oracle > General. 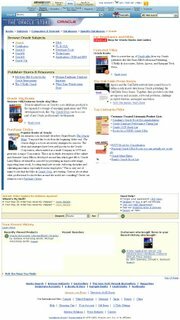 The above link opens the page with the books sorted by their "bestselling" status. This link was originally posted on Tom Kyte's blog (link to post, link to blog), where his book, "Expert Oracle Database Architecture: 9i and 10g Programming Techniques and Solutions", is at #2 - "eBay Powerseller Secrets:Insider Tips from eBay's Most Successful Sellers" is at the number 1 position, why I don't know. 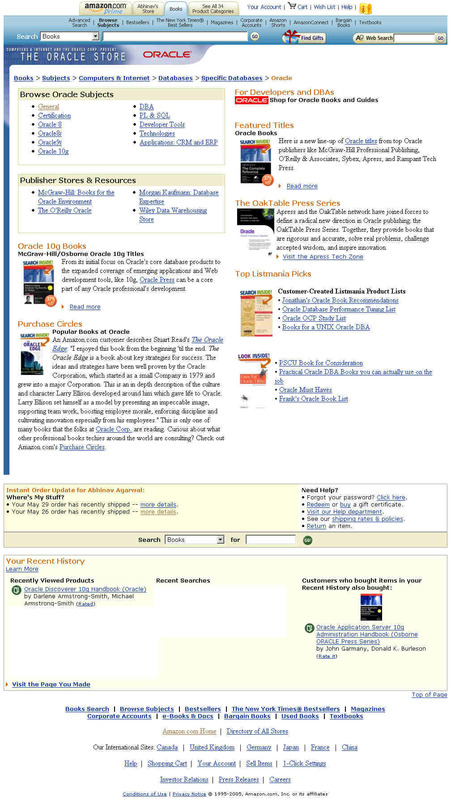 Michael Armstrong-Smith's "Oracle Discoverer 10g Handbook" is at #14 (link to book on Amazon.com, link to Michael's blog). BTW, Michael's ACE (link to page on Oracle.com) profile is now up on Oracle.com here. Finally, if you want to go to the Oracle Store on Amazon.com it seems you can directly type http://www.amazon.com/oracle/ (which redirects you to this URL).